The Man From Arus has come to Earth with an urgent message--Drule is coming and our planet lacks any credible defense. To turn the tide, an embattled scientist must accept the impossible and place the fate of humanity in the hands of something that doesn't exist. And little does he know that his fateful actions have brought the Voltron Force to their current situation almost a hundred years later... staring down a battalion of shock troops and Robeasts that have come to make sure Voltron doesn't get rescued and the day doesn't get saved. 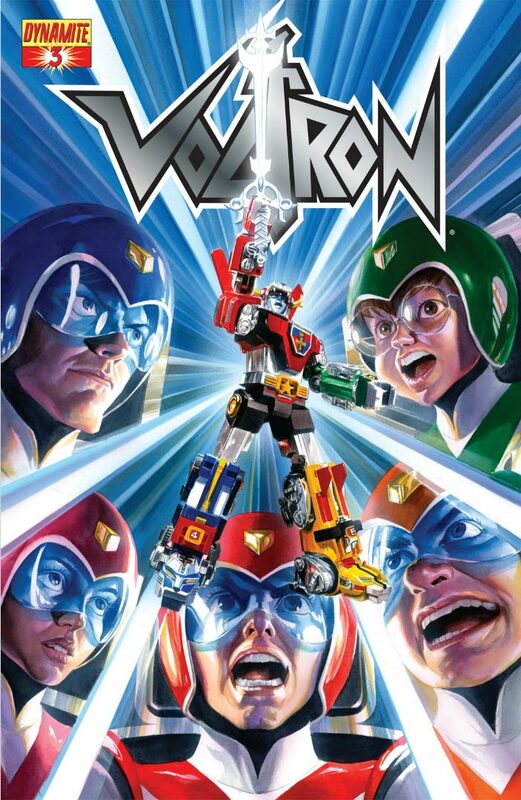 Writer Brandon Thomas and artist Ariel Padilla are back for Dynamite Entertainment's Voltron #3, available at comic shops and same-day-as-print digital download, today.